It was one of the most amazing military achievements: In just six days, Israel inflicted on its Arab neighbours their biggest defeat of modern times. It destroyed the armies of Egypt, Syria and Jordan and tripled the size of Israel's own territory in a dazzling display of manoeuvrability and strategic risk-taking. Yet, the Six Day War, which erupted half a century ago, overhauled not only the annals of military strategy - it also transformed the Middle East beyond recognition, unleashing a series of security challenges nobody foresaw at that time, but which continue to haunt us to this day. 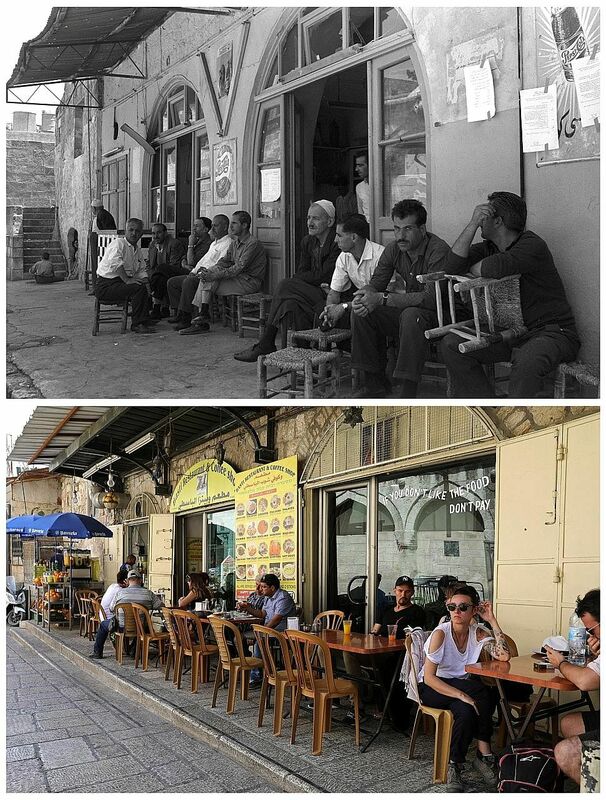 And, as the Israeli victors discovered, it also changed them, often in the negative sense. The Six Day War erupted on June 5, 1967, as a result of a series of miscalculations from all sides. The crisis probably started in early May when Soviet spies warned Egypt and Syria, the Soviet Union's chief Middle East allies at the time, that Israel was about to attack them. That was false. Still, Egypt responded by concentrating its troops at Israel's borders and by closing the Straits of Tiran, a vital regional sea route, to Israeli shipping. And that provided the perfect justification for Israel to strike. But we also now know that the then Israeli Prime Minister Levi Eshkol remained deeply reluctant to go to war, and was only bounced into a decision by his generals. 1 On the eve of the war, Israel was outnumbered at a rate of two-to-one by its Arab rivals: the Jewish state's 100,000 deployed soldiers faced a total of 240,000 troops deployed by Egypt, Syria and Jordan. 2 Israel threw all but 11 of its 200 operational fighter jets into a surprise pre-emptive strike against Egypt's air force, destroying over 300 Egyptian aircraft parked on various airfields in less than an hour on June 5, 1967, the first day of the war. 3 Israel lost around 800 soldiers in the war; the Arab losses are estimated at around 20,000 killed. 4 By the end of the fighting, Israel tripled its territory; the size of lands under its control went from 20,700 to 67,300 sq km. 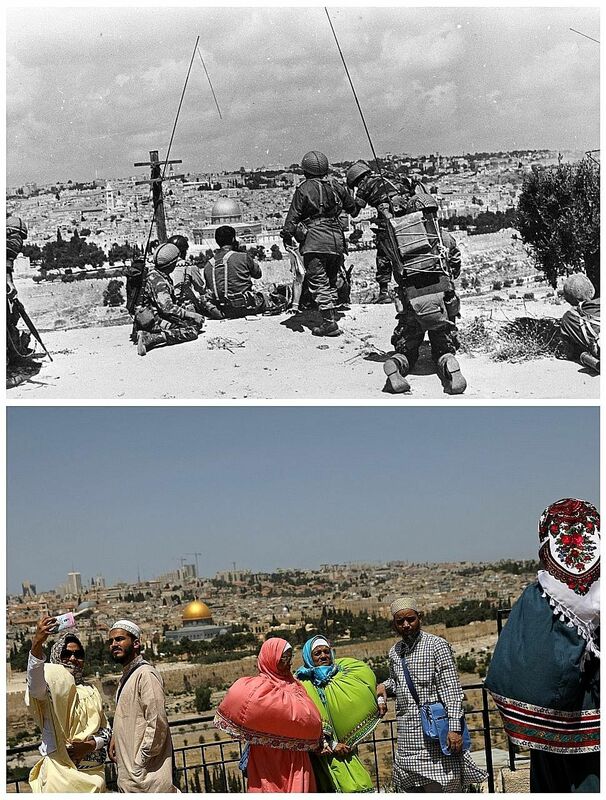 5 The war generated a second Palestinian exodus - an estimated 350,000 fled the fighting, many the children of refugees from the original exodus prompted by the establishment of the State of Israel in 1948. 6 All Arab and some of the world's Muslim states declared war on Israel during the Six Day War, without actually fighting; the western African state of Mauritania technically remained in a state of war with Israel until 2000. And, decades after the event, we also know that, while he continued threatening Israel with "annihilation", the then Egyptian President Gamal Abdel Nasser cancelled plans for an attack and, in fact, lowered the readiness of his forces a full two weeks before that fateful day in June. In short, this was a war politicians on both sides did not want. However, there is little dispute about the war's immediate outcomes. Israel not only succeeded in destroying its rivals' armies, but also eliminated future military challenges - Arab artillery batteries, stationed just 20km from the Tel Aviv coastline, disappeared forever. Israel's global prestige soared. For here was a plucky little state - populated by Jews who used to be derided by anti-Semites in Europe for their supposed lack of courage - defying all military odds and winning. The Western media coverage at the time was overwhelmingly and unashamedly pro-Israel. 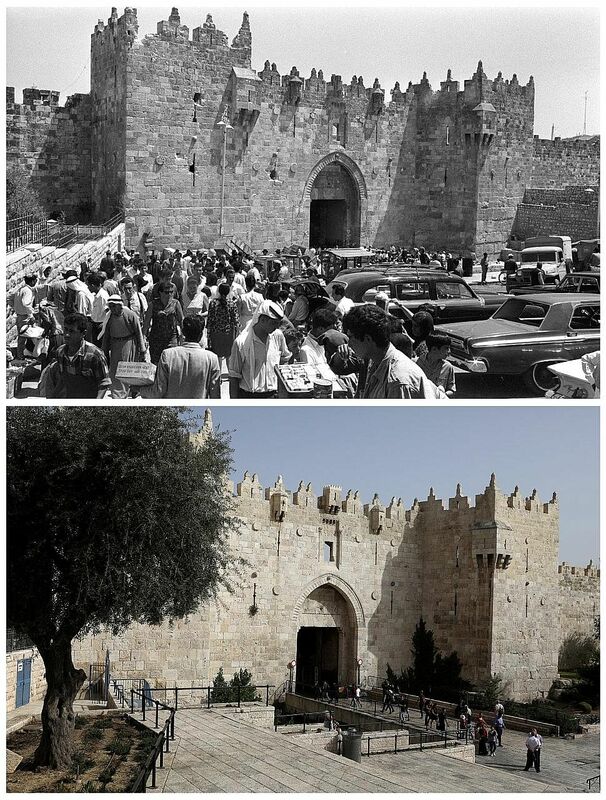 And for Jews around the world, the fact that Israel was now in control of all of Jerusalem's historic sites was a source of huge pride. The picture of fresh-faced Israeli paratroopers gazing in awe at the Western Wall - the Jewish faith's holiest shrine that they had just seized in pitch battles from Jordanian forces - remains to this day one of the most famous and evocative images in Israel's history, a silent but powerful rebuke to all the harrowing pictures of Jews transported to the slaughter during the Holocaust. 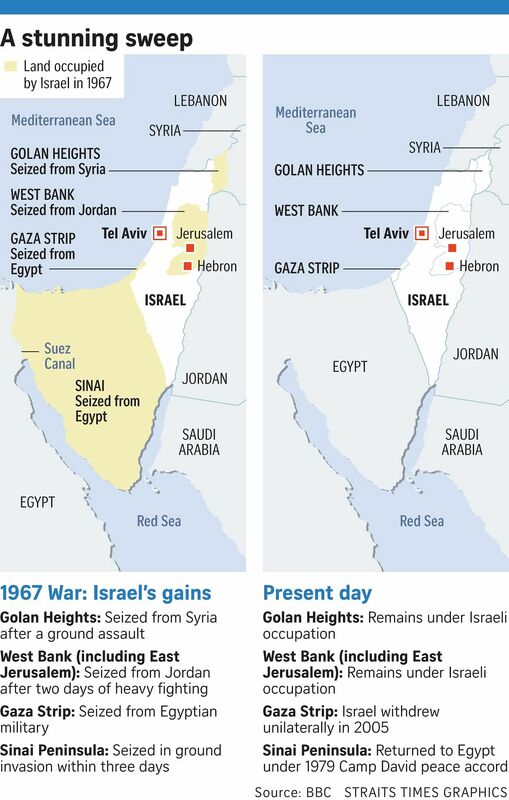 But what few Israelis realised in those heady days of June 1967 were the war's long-term implications. For the Arabs, the defeat was not only military, it was also political. Socialism as a modernising ideology was discredited - shortly after the war, the Soviet Union ceased to be an influential force in the Middle East. Pan-Arab ideas of solidarity were also gone. In effect, Israel defeated the very idea of a modern Arab state. And what replaced it? Either a more narrow nationalism of individual Arab countries - both Egypt and Jordan concluded separate peace deals with Israel a decade after that war - or political movements appealing to Islamic fundamentalism, a process which continues to this day. 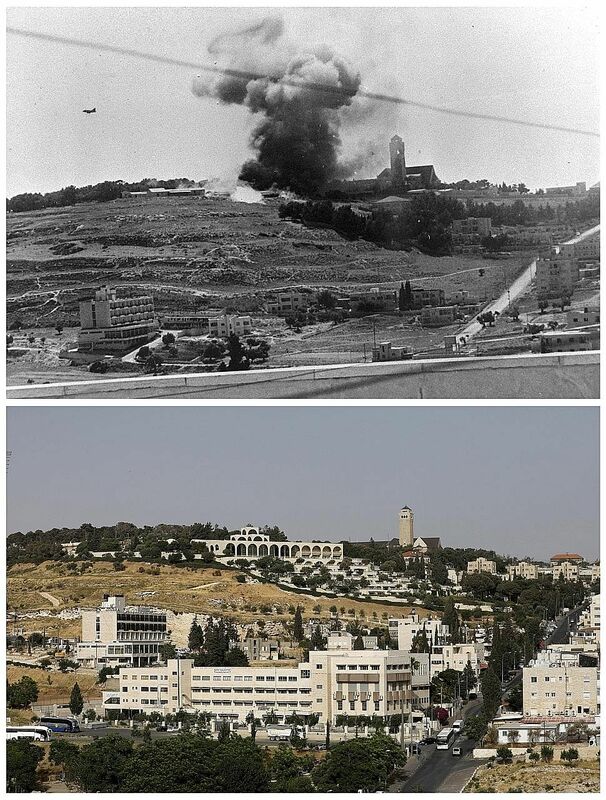 The realisation that Israel cannot be defeated on the battlefield led to the rise of terrorism as the only realistic weapon against the Jewish state. The trauma of another defeat - the second in as many decades - also forged the Palestinians' national identity. 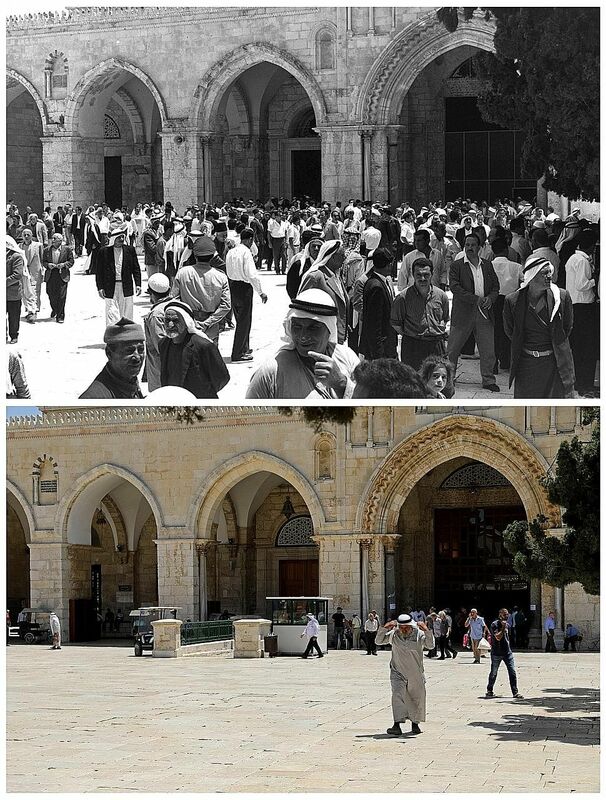 Before 1967, few regarded Palestinians as a distinct nation but afterwards, few refuted their claim to nationhood. Most importantly, the war changed Israel. The hugely controversial decision to annex the Arab parts of Jerusalem and fuse them into Israel's capital - contested by the international community, including the United States, to this day - was taken, as Uzi Benziman, one of the country's top journalists, recently discovered, almost as an afterthought, as two ministers simply marched into Mr Eshkol's office and demanded it. Mr Eshkol, who never thought of this, signalled his approval not in the official language Hebrew, but in Yiddish, the dialect which emerged centuries before in Europe's Jewish ghettos. Seldom before has such a momentous decision been taken in such a curious way. When the war ended, Israel assumed that it would control the occupied territories for just a few months. 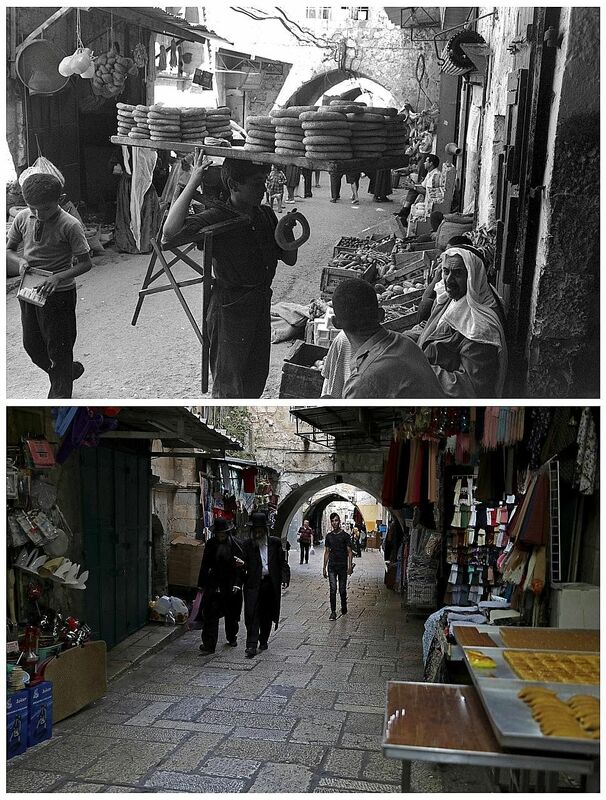 But as time passed, the occupation became permanent, and successive generations of Israeli settlers now make the return of these territories unthinkable. The result was rebellion, repression and more insecurity, and the most fundamental question of all: What would Israel do with millions of Palestinians it controls but has refused to recognise as citizens. The Six Day War, therefore, brought initial security followed by an even deeper insecurity. Yehuda Amichai, Israel's greatest poet, once summed up this contradiction by referring to the outcome of the war as "the demons of the past meeting with the demons of the future".